Location Kopaonik Mountain is situated in the central part of Serbia and is approximately 260 km away from the capital city of Belgrade. It is also 177 km away from Nis, the administrative center of the Serbia’s south-east region. The highest section of Kopaonik is its northern part, known as Ravni Kopaonik. Around spacious plateau Ravni Kopaonik (altitude of about 1.700 m) rises Suvo Rudiste area with Serbia’s highest peak called Pancicev Vrh at 2,017 m above the sea level. The subject site is located in the south-western part of Suvo Rudiste area, which is the central tourist area of Kopaonik within the National park, approximately 550 m away from the central zone, known as “Konaci”. The property is located along the right side of the local road that connects center of Kopaonik with “Pancicev Vrh” peak, at an altitude of 1,740 m. Therefore location enjoys excellent car accessibility as well as exceptional posi5on and visibility from the main road (R-218) which is only 50 – 70 m away from the subject property. Property description The subject property is positioned between ski slopes “Malo Jezero” and “Suncana dolina” and is only 200 m away from the ski-lifts, allowing ski in and ski out access to the site, which will significantly increase fluctuation of visitors and skiers, contributing undoubtedly to the overall attractiveness of this location. 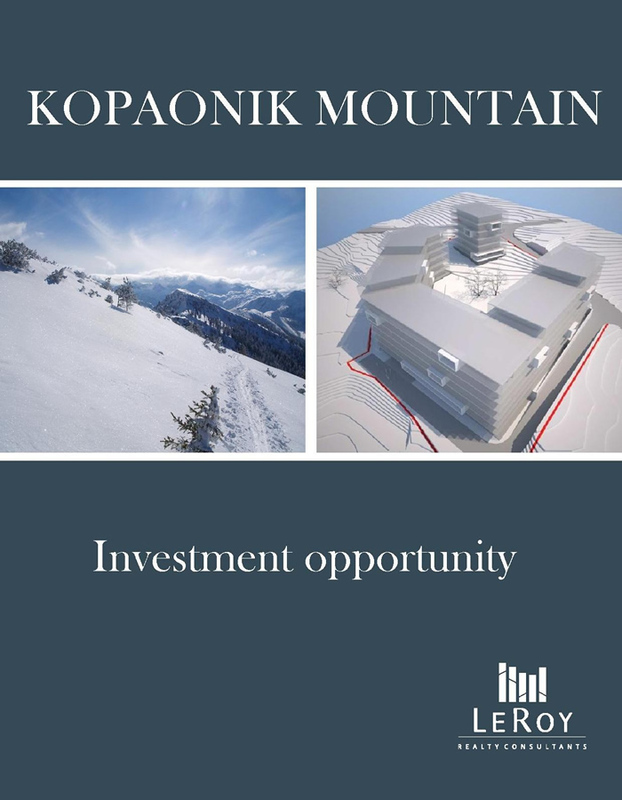 Micro location of the property is a position with one of the best views in Kopaonik, where the south-western side of the plot. Along the north border of the subject land plot is the area where construction of the new ski-lift was planned, while along the south border is planned construction of new road that will connect location directly with the neighbouring complexes and the main road.